The Blue Grass Chemical Agent-Destruction Pilot Plant, or BGCAPP, will safely and efficiently destroy the chemical weapons stockpile currently in storage at the Blue Grass Army Depot. A two-step technology, neutralization followed by supercritical water oxidation, will destroy a majority of the chemical weapons. However, the use of an explosive destruction technology (EDT) is necessary to destroy a portion of the inventory of chemical munitions that present a problem to process in the main plant. 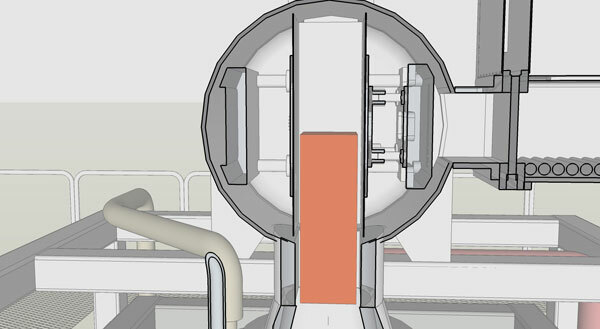 The EDT chosen to augment the main plant is the Static Detonation Chamber (SDC). A 2011 X-ray assessment of the Blue Grass chemical weapons stockpile confirmed the solidification of mustard agent in a significant number of 155mm mustard projectiles, rendering them unsuitable for automated processing in the main plant. These problematic munitions, together with some 200 mustard projectiles that have leaked in the past and are now overpacked, require a different technological approach for their destruction. To resolve this issue, the SDC will be used to destroy all of the approximately 15,000 mustard projectiles, as well as two 3-gallon Department of Transportation bottles containing mustard agent. 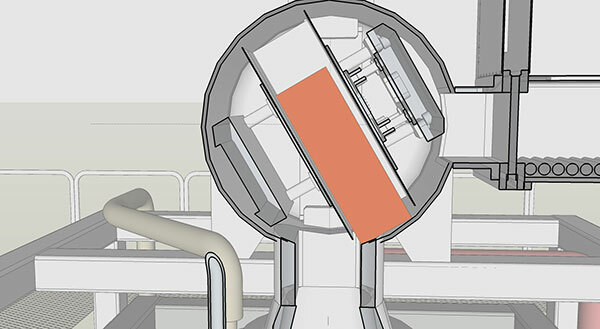 The SDC will use thermal destruction technology to process the weapons. Chemical munitions are placed in a feed tray, conveyed to the top of the SDC vessel and fed into the electrically heated detonation chamber. The high heat (approximately 600 degrees Celsius or 1,100 degrees Fahrenheit) detonates the munition, and the chemical agents and energetics are destroyed by thermal decomposition. Gases generated as a result of the detonation are treated by an off-gas system that includes a thermal oxidizer, scrubbers and a carbon filter system. All waste streams generated at the EDT facility will be screened. Scrap metal will be sufficiently decontaminated to be recycled. Workers place mustard projectiles in feed tray with aid of material-handling equipment. 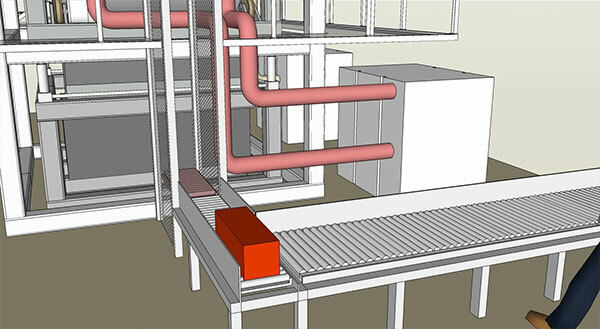 System allows for minimal handling of projectiles by workers. 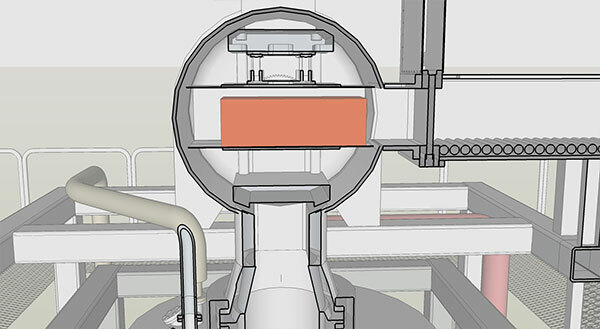 Projectiles are conveyed to the top of the vessel. 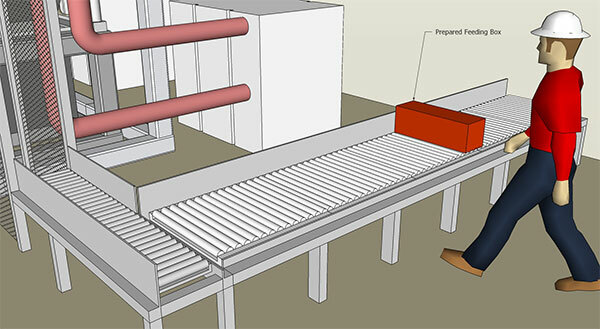 For added safety, a fully automatic, double air-lock feeding conveyor system is used. 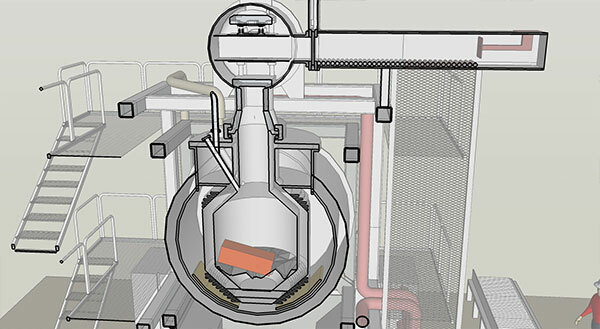 Projectiles are fed into an electrically heated detonation chamber. 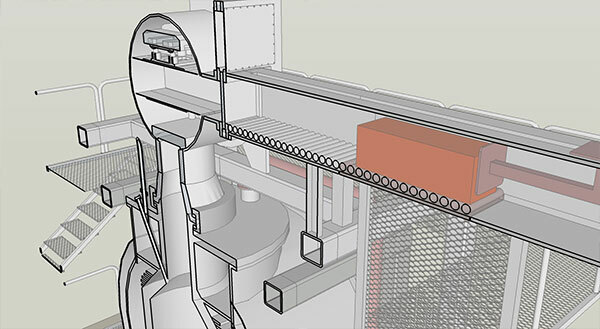 Chamber temperature is maintained above critical temperature of energetics inside the projectiles. High heat detonates/deflagrates projectiles, and the mustard agent and the energetics are destroyed by explosion/thermal decomposition. The off-gases are treated by an air pollution control system.